What's U2 got to do with Palm Trees, Cactus and Snow-Capped Mountains? In March 1987, the album "The Joshua Tree" was released by U2. It debuted at number one in the UK and quickly reached the top of the charts in the United States. At the time, I had no idea what the impact of this blossoming Irish band would be or the politics behind their music. Additionally, I had no concept of what a Joshua Tree actually was. Like many people, I was captivated by this new sound - the catchy lyrics and the soulful music which accompanied. So like many others, I purchased the album. It was then that I first recall taking note of what a Joshua tree actually looked like. Up until that point I had spent most of my time east of the Rocky Mountains and in Europe so I had never seen a Joshua Tree in person. However, nearly a decade later, while driving a stretch of highway in the Mojave desert, I experienced a sentimental moment as I drove over a hill and viewed a lone Joshua tree highlighted by the western setting sun. As the sun peeked through a thin layer of clouds to illuminate this solo tree, I felt a bit choked up inside as I marveled at it's majesty. There it stood alone in acres of barrenness. Rocks, sand, brush, and shrubs seemed to cower below as this creature reached toward the sky defying the elements and time. This insular living thing opposed all and presided like a living monument and testament to any being who has endured the extreme hot and cold temperatures of the desert. -The Joshua Tree won U2 their first two Grammy Awards, with the band receiving honors for Album of the Year and Best Rock Performance By a Duo or Group With Vocal. While a Joshua Tree stands tall in the desert, it's really not a very sturdy tree. The trunk of a Joshua tree is made of thousands of small fibers and lacks annual growth rings, making it difficult to determine the tree's age. The tree has a shallow root area and top-heavy branch system, but if it survives the rigors of the desert it can live to two hundred years of age. The tallest trees reach about 15 m (49.2 feet) tall. So my opinion is - it's not that U2 was saying the US was top heavy, slow growing, relatively weak, and metaphorically about to collapse under it's own weight but that it was resilient, beautiful, and majestic in its' own way. And they wanted to pay tribute through their new style of music. 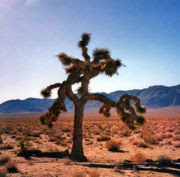 Ironically enough, the original Joshua Tree pictured on the album cover (and below) collapsed and died somewhere around the year 2000. Supporters had always feared that the tree would be vandalized or stolen. But experts believe one branch initially broke off leaving the tree unbalanced. Shortly thereafter, the unbalanced tree strained the weak and shallow root structure and eventually fell due to the disproportionate weight. And while I was there I took a short drive out to Joshua Tree National Park. I know now why they call it Joshua Tree NP. There are thousands of these trees. Unlike the area in the Mojave desert where I saw an occasional tree, these trees were very concentrated and in all shapes and sizes. I've uploaded a few of the photos I took for your viewing. These pictures can't portray the actual beauty of the tree or capture the experience of being there but I hope they will help you appreciate their beauty . Killer post (I mean that in a good way) ... almost soothing to read and take in. The pictures are fantastic as well. Something new to me in that my understanding of the Joshua Tree was very limited until now. I think we all have a little bit of "Joshua" characteristics inside of us. I learned something new! I didn't know what they looked like, and U2's Joshua Tree is one of my alltime favorites. Much thanks for the visit. We golfing buds have got to stick together. Have fun! I've been searching for my own (film-era) photos from Joshua Tree NP and Palm Springs. What a deja-vu to find your lovely images! Joshua Tree NP is one of my favorite places(and U2 is classic). Great post! Tamera, the idea of you learning something wakes me up! I always think of you as knowing so much already... (you're so smart) Okay, I am smiling a bit but I do believe you have a wealth of knowledge. U2 rocks! Thanks Heather for the visit and the comment. Film Era? Can you believe those days? I have three rolls of film (from who knows where) that I still need to develop. I think they're underwater pictures from Hawaii a few years ago. Good luck finding yours. Please come back. I love U2. Their music never gets old. Great post. Please visit my site. As the class of '89, U2 led me through high school. The Joshua Tree was monumental in my life, and in my summer of '87. The stadium concert that year was magical. So much so, that it actually started raining at the end when Bono finished with MLK from their previous album, The Unforgettable Fire (My Favorite U2 album and second fave album of all time). MLK: "Let it rain.... let it ra-ain, rain on me.." 80,000 of us were going wild over the 'miracle.' Even Bono looked up to the sky while singing it. I'm getting chills just thinking about it now. Plus, everyone started singing '40' as we walked from the stadium into the city, "How long, to sing their song ..." They used to end all their shows that way up until Joshua Tree, as you will hear on their mini lp - Under a Blood Red Sky - the live concert at Red Rocks. Their J. Tree concert was the best I've ever seen. Seen them twice since - still puts on a great show! Thank you so much for this post and your info about the trees. You write so well, and this post, as you can guess, really struck a chord with me. You can also guess I'm old school U2! Either Rolling Stone or Spin named The Unforgettable Fire as one of the most important but underrated albums of all time. My fave. 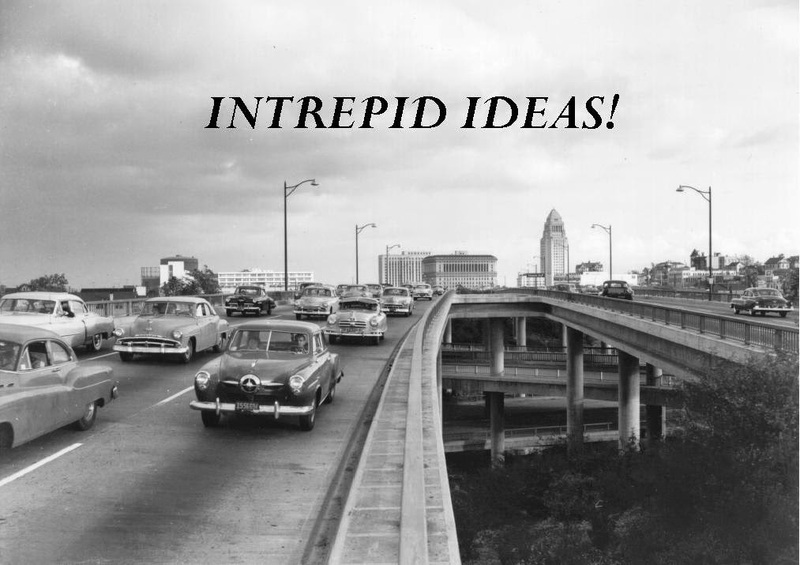 Have you seen their film for the J Tree Album? "Rattle and Hum?" It really goes into what you were saying about them studying their infuences. Also, every April 4 I listen to "Pride, in the Name of Love" - on their Unforgettable Fire Album. Fave Joshua tree songs - Red Hill Mining Town and All I want is You. Hi Belly, your comment is wonderful and actually gives me chills! Thanks for the insight and the additional information about U2. Your personal experiences highlight their allure. It's always great when you visit. Thanks again! And thank you for allowing me to indulge, my friend. If you want to see old clips of U2 from the '83 Red Rocks show, 40, MLK, Gloria, or any of the others I mentioned, I have those vids in my Favorites on my YouTube channel. 40 is actually Psalm 40,btw. The Unforgettable Fire video is still my all time fave video - the song was inspired by Hiroshima. U2s music made this irish catholic girl question her faith and shape her politics. In my opinion, the Joshua Tree was their last great album. For many, it was their first. Uncontested, this album was transitional. I like tunes from their albums from the '90s on, but something got lost - perhaps it was my,their, or all of our innocence. Belly,- Indulge away! Can I offer you some tea? Perhaps some chocolate? I want you to be nice and comfy and feel free to speak away. (smile) Yeah, they took a break for a while in the political arena with their music but don't count them out. I'll cruise right over and check out your videos.... Thanks for the invite and the hospitality! Thanks for the tea and chocolate! YOu've helped me have a great couple of days downloading lots of old U2 stuff for my collection. I'm finding old talk show performances from them from 1980! I was nine! omg! Plus, I found their rarest single and video - Celebration. After hearing some of these oldies, maybe you can understand how dissappointed I was when they did a 180 in the '90s - nukes, puppet strings on politicians, oppression, spirituality. I can honeslty say that this band posed the first questions in my head. Duran Duran never sang about this stuff. And, why was someone singing about bombs and war? If it was important enough to sing about, I had to find the reason why. At least they have always been active humanitarians, and have done good work in putting a spotlight on AIDS and poverty in Africa and around the globe. I'll never forget watching their performance at Live Aid in '85. I got up super early not to miss any of the Wembly coverage, since by '85 I was a full-fledged British Nu-Wave music geek. I sat close to our first vcr to try to edit commercials, since it did not come with a remote control. U2's performance of 'Bad' at Live Aid is still my favorite live concert performance. It was one of the first times I cried hearing a song - that and the first time I heard Band-aid's "Do they Know it's Christmas (feed the world). I was certain that these two endeavors would indeed feed the world, and bring peace as well. In the mid '90s I worked at a radio station. I remember one of the hosts - huge music guy from the 60s-70s. There was a discussion once where many of us were naming the best live performances. He brought up "Bad" at Live Aid, and said that even out of all of the shows he had seen personally (the Who, the Dead, the Stones ...) nothing can compare to the feeling he felt when he saw U2 do that song. Thanks for taking me back to Jr. High and High school as well. It was one of the bonds I shared with my best friend. Times and people have changed like U2, and my friendship with her has been non-existent since '01, when I left from my second vist to Greece to see her after she moved there in the '90s. It was nice to go back in time before time changes things. Thanks again, my very dear blogging friend! Wow Belly, you worked a radio station too? Exciting. Sorry to hear you've lost touch with your friend. Is she still in Greece? Any chance you will re-kindle the friendship? Brilliant comment! Yes, she still lives there, as does all of her family. She was born here, but now even her parents moved back to their homeland. I've tried to find her on email, but I wouldn't be surprised if she still doesn't have onne. I've googled her name and nothing comes up. I sometimes wish she'd find me, as other high school and college friends have been able to do. It's a long story, but we butted heads when I was there. And, I was personally going through the roughest time in my life (thus the trip). I felt she was more condenscending than supportive. Finally at the airport, she had said something else, and I finally stood up for myself, told her to 'shut up, stop judging and mind your own business.' She was very pissed. We sat in silence until I had to board. As I left I told her I loved her. She had sealed her face as to show no emotion. My gut told me that was going to be the last time I saw her. Remembering Elliot Yamin's #1 Fan! Federal Income Tax - Is it Constitutional? An Ugly Week in the Airline Industry! Which direction am I headed?